Homegrown cab-hailing major Ola has agreed to acquire the Indian business of food delivery platform Foodpanda from its Germany-based parent Delivery Hero in an all-stock deal. Ola has also committed to inject $200 million into Foodpanda India to expand its business, it said in a statement. “As one of India’s pioneers in the food delivery space, Foodpanda has come to be a very efficient and profit-focused business over the last couple of years. Our commitment to invest $200 million in Foodpanda India will help the business be focused on growth by creating value for customers and partners,” Ola CEO Bhavish Aggarwal said. Saurabh Kochhar, CEO of Foodpanda India, will leave after the deal to pursue other opportunities. Ola co-founder Pranay Jivrajka has been appointed as interim CEO of the Foodpanda India business, the cab-hailing firm said. The development comes more than a year after Ola, in March 2016, pulled the plug on its earlier food-related initiatives Ola Cafe and Ola Store after launching them in 2015. 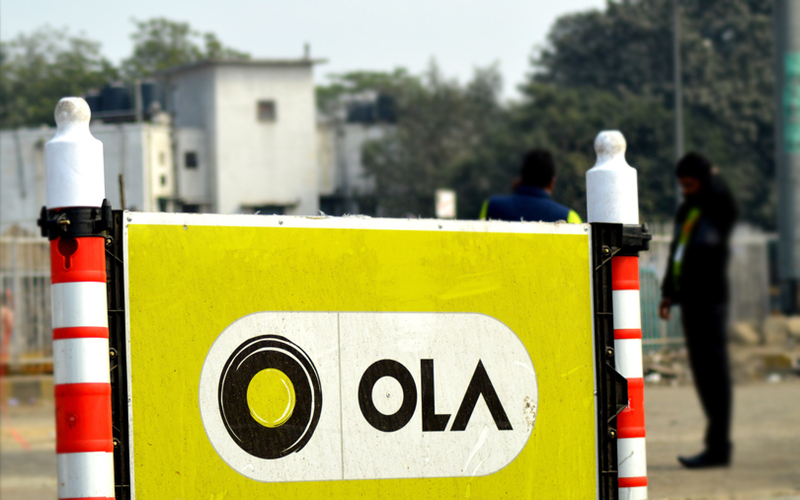 Ola had started these initiatives to test its technology and logistics capabilities, but eventually decided to shutter them to focus on its core operations. The acquisition also comes a little over six months after Ola's main rival, US-based ride-hailing firm Uber Technologies Inc, jumped into the food delivery business with the launch of UberEats in May. The person said that the entire deal, from engagement to finalization, was struck in the past two-three months. Foodpanda will operate as a wholly owned subsidiary of Ola and will not be rebranded, the person added. While Ola has the requisite capabilities in terms of logistics, network and on-ground infrastructure, it remains to be seen whether it can turn food delivery into a profitable business. Food delivery and other food-tech companies in India typically operate on razor-thin margins. Foodpanda as well as its main rivals, Zomato and Swiggy, are making losses. Foodpanda, however, has lost less on every rupee in revenue than Zomato and Swiggy for the financial year through March 2017. “If you look at their financial performance over the last one year, they have been the most efficient player in this space and have spent far lesser per rupee compared to the competition,” the person cited above said. Late last month, Foodpanda had said its revenue for 2016-17 climbed to Rs 62.16 crore from Rs 37.81 crore the previous year, thanks to strong order growth in key markets. Losses narrowed to Rs 44.81 crore from Rs 142.64 crore. Bundl Technologies Pvt. Ltd, which runs Swiggy, clocked revenue of Rs 133 crore in 2016-17, a six-fold increase from Rs 20 crore the previous year. Its loss widened to Rs 205 crore from Rs 137 crore as costs more than doubled. Zomato posted revenue of Rs 332.3 crore in 2016-17, up 81% from Rs 183.9 crore in 2015-16. It narrowed its loss to Rs 389 crore from Rs 590.1 crore. Zomato, however, is not just a food delivery company but also offers a restaurant listings platform, table reservation and other services. Foodpanda was earlier part of German e-commerce investor Rocket Internet. In December 2016, food delivery company Delivery Hero Holding GmbH acquired Rocket Internet’s entire global operations of Foodpanda. In September this year, South African media firm Naspers increased its holding in Delivery Hero, buying half the stake of Rocket Internet for 660 million euros ($775 million).